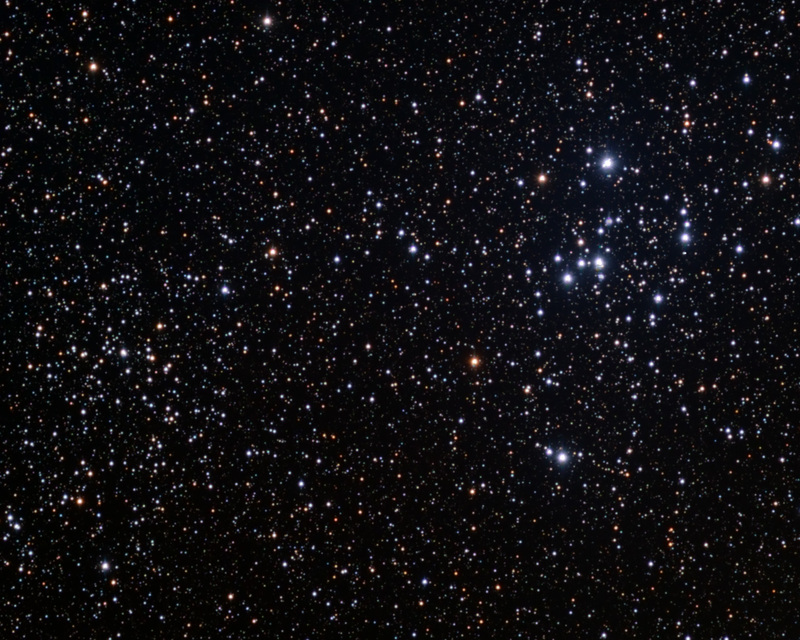 M47 is the cluster of bright stars near the center of the image. 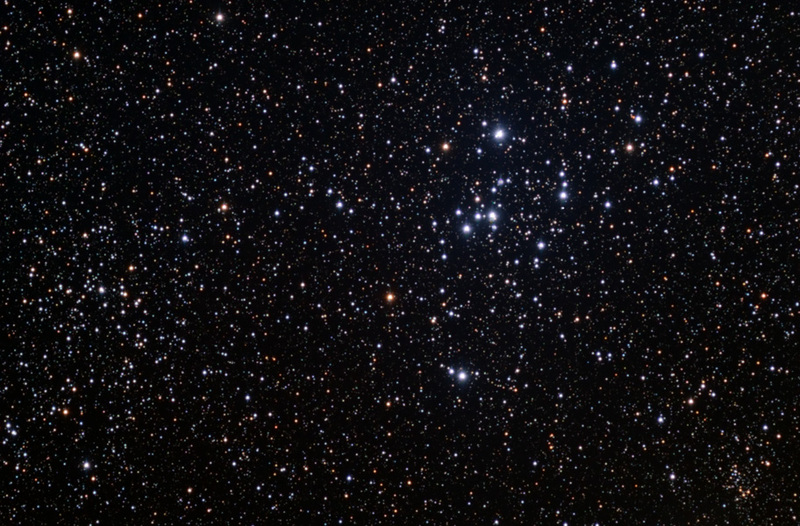 The cluster on the left is NGC 2423 and the small cluster at lower right NGC 2425. Technical Notes: Individual exposures were dithered using CCDAutoPilot2 and then sigma combined. 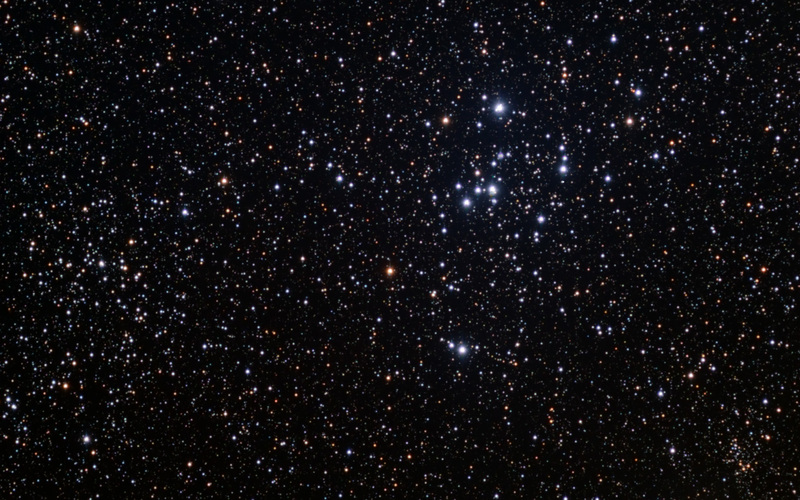 The RGB image was created in Registar 1.0. Reduce Noise was applied to the RGB image and the dim portions of the luminance image. Gaussian Blur of 1 pixel was applied to the RGB image.